Christian College Geelong Christian College Geelong aims to grow vibrant, confident students who strive for the highest academic standards - while also accepting the responsibility of helping others in the local and global community. For nearly 40 years, Christian College has developed this proud tradition, prioritising high-quality independent schooling at a reasonable cost. 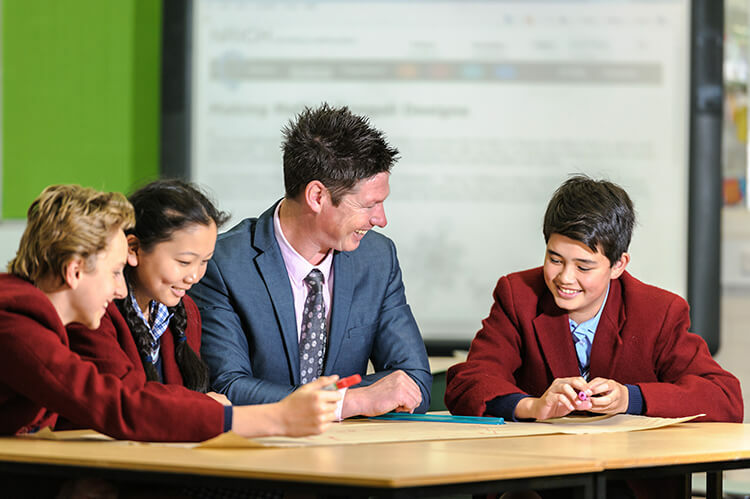 Families throughout the Geelong region have recognised the advantages of choosing a school where academic excellence is balanced with Christian character development, with the College’s five core values – faith, grace, hope, love and truth – guiding students on their journey. From Kindergarten to Year 4, the Junior School atmosphere is one of warmth, care and understanding. Happy students gain confidence as they master the vital foundations of literacy and numeracy, while innovative specialist programs like art, music, sport, LOTE and technology begin a true love of learning. The Middle School program from Years 5 to 9 is both challenging and engaging as we introduce a wide range of studies. These encourage students to discover and develop new talents and skills. An innovative program for gifted students, called ‘Q’ed’, provides a catalogue of challenging projects with collaborative learning to ensure the talents of these students are given every chance to blossom. Great opportunities are available to students to participate in like sporting teams, musical ensembles, bands or choirs, along with dance groups and musical productions. Such activities and competition develop students’ confidence in their own abilities and establish good self-esteem, which is vital during the early adolescent years. Year 9 students finish their middle school journey by participating in the transformative ‘Back Creek Rural Experience’. In gender groups, students mature as they live together at the College’s working dairy farm in Scotsburn, Victoria, and learn the rural work ethic and responsibilities of caring for the dairy herd, sheep and poultry – as well as mixing the daily routines of cooking and cleaning with the challenges of applied mathematics, English and environmental science studies.e program for gifted students (Q’ed) provides challenging projects in collaborative learning for talented students. In sport, LOTE, music, art and drama, extensive opportunities are available for school and community competition, performance and additional skills tuition. In Year 9, students choose to participate in the five-week residential Rural Studies program at our working dairy farm in Scotsburn, near Ballarat. Students, in gender groups of 20, learn the rural work ethic and responsibilities of caring for the dairy herd, sheep and poultry in addition to meeting the challenges of residing with other students. Daily routines of cooking and cleaning are interspersed with the challenges of applied mathematics, English and environmental science studies. 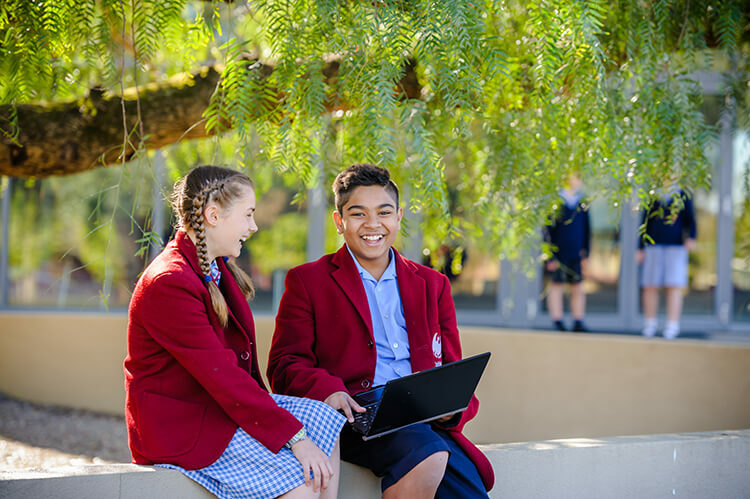 The Senior School provides excellent opportunities for students in Years 10 to 12 to achieve at their highest level, with a wide choice of VCE, VET and VCAL pathways linked to anticipated tertiary studies. Student leadership and individual staff mentoring for Year 12 students enhance the learning experience for those about to graduate. With smaller class sizes and additional classtime at Year 12, as well as dedicated specialist staff and top class learning facilities, students study in an environment conducive to success. 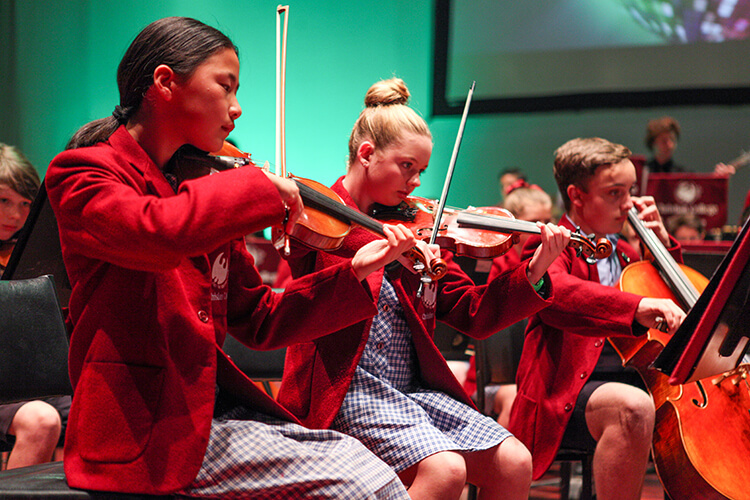 The Music Program at Christian College is the most sought after in the region, with senior ensembles performing at an elite level and 40 specialist instrumental staff providing tuition throughout the College. Many performance opportunities are provided for students, including regular music tours interstate or overseas, eisteddfod performances, AMEB examinations, music camps, community events and other special evenings. Students engage in a range of challenging subjects, including 2D and 3D art, studio arts, visual communication and design, technology and design (wood/textiles), systems engineering (electronics/robotics), media studies and food technology. Senior students at the ‘Villa Paloma’ Technology Centre are also able to engage in sustained creative experiences in this unique studio-style environment. Christian College Geelong offers General Excellence as well as Academic Excellence Scholarships. For more information visit the College website.